Plastic Deformation – Absolutely The Hague! 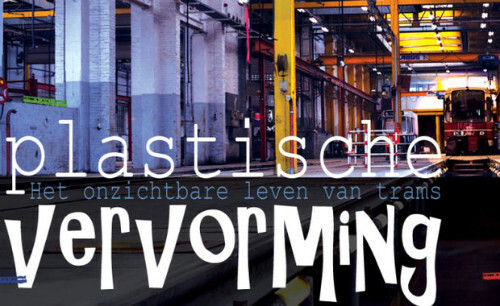 On September 11 Plastic Deformation (Plastische Vervorming), the invisible life of trams will premiere as a theatrical evening on site in the HTM tram depot. Sophie’s father her best friend dies in a tram accident. One year later everybody is telling her she needs come to terms to the grief and be bereavement. She does this in her own way by reconstructing the last days of his life in detail. She maps his last footsteps and reconstructs every conversation he had before the accident and she finds out things about him she would never have known otherwise. Plastic Deformation/distortion is produced by Theatre Group in association with The Arsenal jetzt. The play was inspired by the location itself, Jonathan Safran Foer’s book Extremely Loud and Incredibly Close, BBC’s In Treatment and the 1977 Tenerife airport disaster. The play is in Dutch. This article is translated from Dutch. De Nederlandse versie is te lezen op Hofstijl. Ziet er enorm goed en indringend uit. Knap om zoiets te maken.